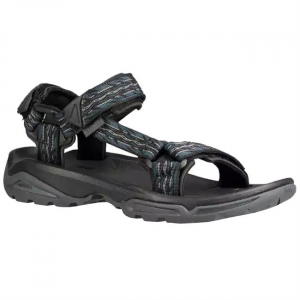 With the men's Teva Hurricane XLT, you can get all of the performance and comfort that Teva is known for without breaking the bank. The Hurricane XLT's contoured drop-in EVA footbed cradles and supports your foot while providing all day comfort. 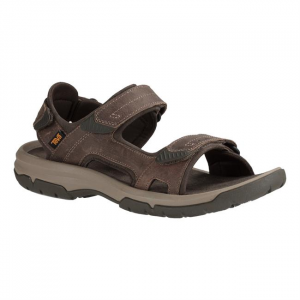 For guys trying to get style and performance out of the same pair of sandals, check out the Katavi from Teva. The nylon shank works with the Velcro strapping system to offer a stable fit with the support you need in the city and on the trail. 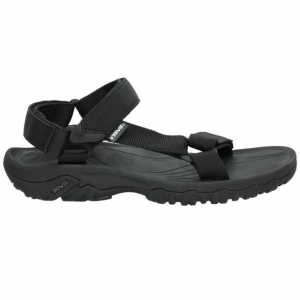 A true outdoor classic, this foot-forming sandal keeps you comfortable while you wonder aloud, Where to next? Kids beat up shoes. Any parent knows that. That's why we like the Teva Escapade Low Hiker Trail-Running Shoes. They're tough and water-resistant. Kids will love to express their summer style with the fashion-forward Teva Hi-Rise Universal sandals. They're molded after the adult version and feature kid-friendly patterns and colors. 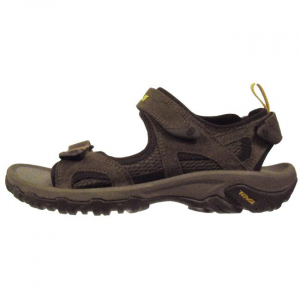 Teva Hurricane II sandals are flexible and lightweight. Your kids will love to wear them daily through the summer, and then some. 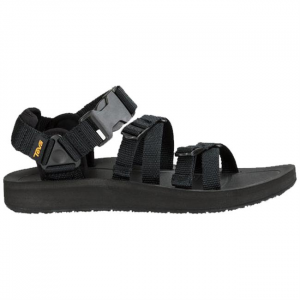 From off-road expeditions to urban walkabouts, Teva Alp Premier sandals answer the call of adventure with soft, supportive footbeds, a neoprene-cushioned closure and a 90s-era throwback strap design. 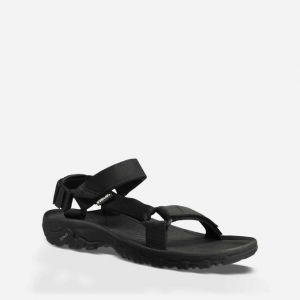 Because comfort and freedom never go out of style, Teva Alps sandals offer a retro design that's inspired by the roots of the river and the famed 1990s Teva sandals. Take a stroll in comfort, no matter the conditions. The Teva Arrowood Riva Mid WP boots have highly breathable eVent(R) membranes for waterproof protection when the weather is poor. Looking for a one-shoe quiver for your travels and around-town adventures? Reach for the Teva Arrowood Riva WP shoes, which provide waterproof protection and support for long journeys. Adventure-seeking trail sneakers with style, Teva Arrowood shoes are waterproof and super comfortable, featuring the featherweight comfort of durable FloatLite foam construction.